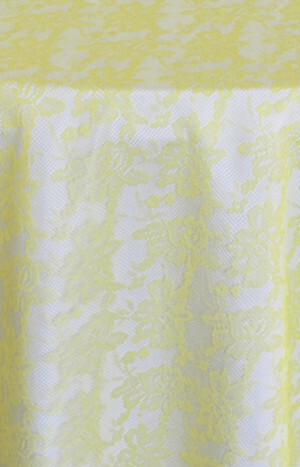 Rental Table Overlay Square Lace Canary Yellow in Houston and surroundings areas. Rent Table Overlay Square Lace Canary Yellow, for your wedding reception, wedding ceremony, anniversary celebrations, banquet, corporate event, private party and all other special events. 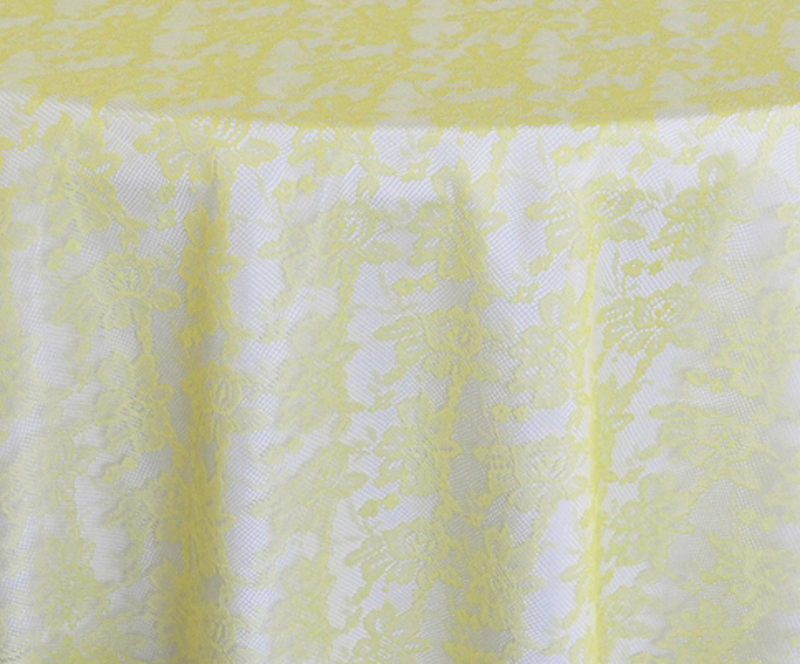 Our 72"x 72" Table Overlay Square Lace Canary Yellow for rent are made from a high quality square lace material.